Peter Sarsgaard as Stanley Milgram in EXPERIMENTER, a Magnolia Pictures release. Photo courtesy of Magnolia Pictures. Milgram is portrayed as a rather serious academic researcher, rarely smiling, in whom deep curiosity to understand how people could commit the atrocities of the recently ended second world war coexisted comfortably with ambition to further his academic career. As is often the case in great scientific discoveries, Milgram’s was unexpected; he thought that Americans would not give potentially injurious and even lethal shocks to fellow Americans just because they were told to by a man in a lab coat. Once his subjects showed that they were willing to obey, he continued to study obedience to authority, using several variations on the design. It was during this research that Adolf Eichmann was brought to trial for genocide; his defense was that he was doing what he was told to do. Coming to Harvard after his work at Yale, Milgram’s playful side became more apparent, as he conducted research leading to the concept of “six degrees of separation.” However, he was denied tenure under criticism for deceiving and stressing experimental subjects in his obedience research. In the scene in which Milgram is chastised by colleagues on the tenure committee, I was reminded of the image of jackals worrying a lion, even if the jackals had doctorates and were smug in their tenured Harvard appointments, and the lion was a slender and reticent academic subordinate. Failure to appreciate the meaning of Milgram’s work continues at the highest levels of psychology in the United States. A colleague (who prefers to remain anonymous) observed that Milgram’s experiments in obedience illuminate the American Psychological Association’s involvement with psychological torture, and disavowal of that involvement. * After Harvard turned him down, City Colleges of New York recruited Milgram with a full professorship and appointment as head of social psychology. 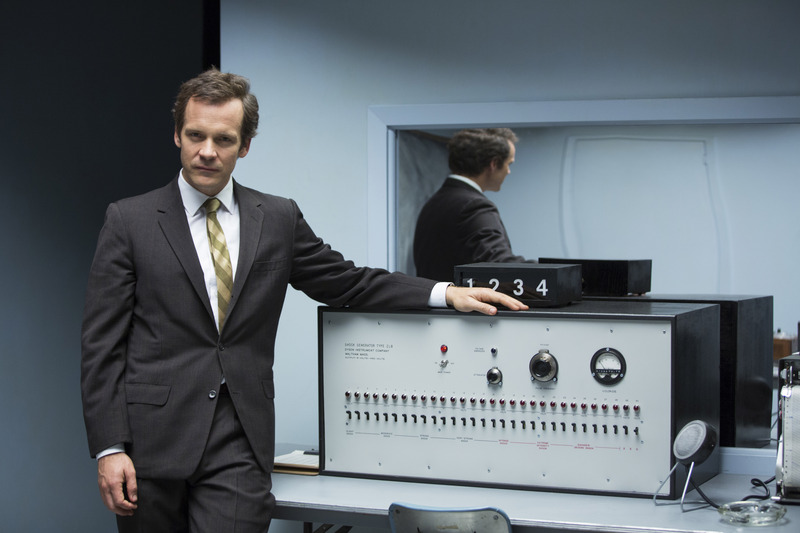 “Experimenter” is understated in its technical production, too. The sets are not elaborate, the backgrounds to some are obviously pictures, and I wondered whether the facial hair on a couple of men was real or artificial. This gives the impression of watching a play rather than a movie; as if to say, “We’re emphasizing the story, not the props.” Both acting and production serve the story rather than supplanting it. “Experimenter” raises a number of issues; most fundamentally, what does it mean to do vital, relevant scientific research into human nature? The decision to apply the methods of science, which had been so successful in studying the natural world, to the study of human nature, was surely one of the most momentous in human history; but it left open the question of how such research was to be done. Certainly, the stress of Milgram’s research on the people who participated in it raises important ethical issues. Nevertheless, the depth of meaning of his research, the applicability of its results to observing and understanding human behavior, and the robustness of the findings, are in distinct contrast to the triviality, irrelevance and meaninglessness that characterize much “scientific research of human behavior.” Milgram’s research on obedience holds up a mirror that reveals depths of the human soul that we had better take a good look at, even if we’d rather not. Because this knowledge is vital to the survival of human souls, both individually and altogether. Milgram died young, of a heart attack, at 51, in 1984, ten years after his book on obedience was published, when his work was achieving increasing international recognition. I can’t help but wonder how he would have matured had he lived. The contribution of his work is enormous. “Experimenter” serves to remind us of it, and will help to preserve it for future generations.